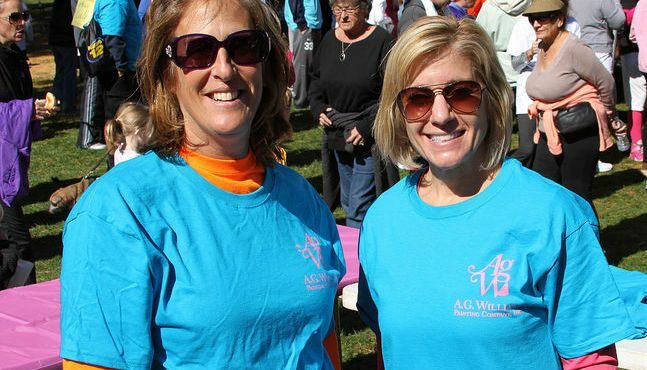 Stacey Tompkins and Liane Rigano at the 20th Support-W-Walk for Support Connection. 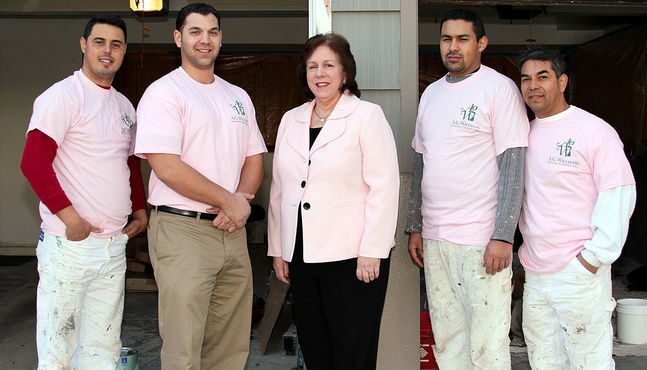 Ramon and Henry help at the Junior League project in Mount Vernon. Paul Viggiano and Katherine Quinn from Support Connection. Painting a window in Pelham, NY. 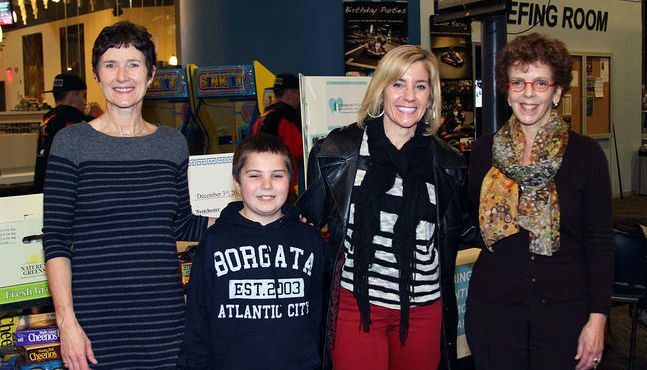 Paint it Pink: Paint It Teal Fundraising for Support Connection. Fundraiser for The Community Center of Northern Westchester. 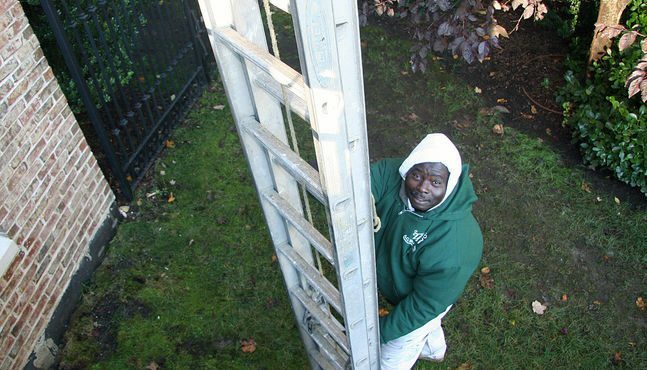 Nat setting up a ladder up in Bedford, NY. 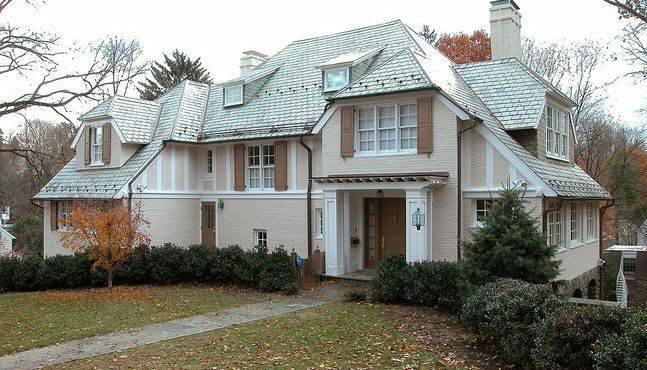 From the time that we moved our headquarters to Pelham in the 1960s, A.G. Williams has been an active member of the Westchester community. 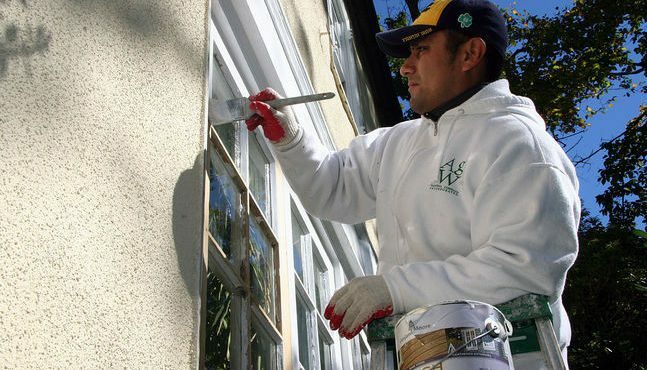 Our Westchester County painters service all areas of Westchester and have painted a home in your neighborhood. Donated interior room painting and a painted mural in the community room of the Westhab affordable housing project at 41-47 Clinton Place, New Rochelle. Worked with the provisional class of the Junior League of Pelham to make-over the reception area of the Family Services of Westchester offices in Mt. Vernon. 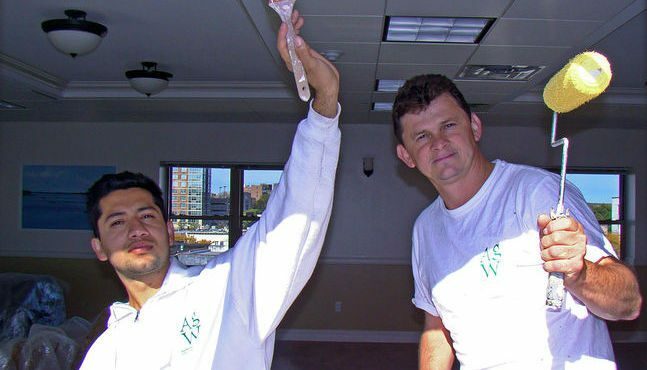 A.G. Williams donated paint, drop cloths and brushes, and two employees to paint the 250-square-foot room. Partnered with Americare to paint the Boys & Girls Club of New Rochelle, erecting scaffolding, donating painting services, securing a donation of 40 gallons of Benjamin Moore paint, assisting in training volunteers in safety and proper painting techniques, and supervising sections of the painting. Donated painting services to the not-for-profit Pelham Art Center in Pelham, to paint various exterior and interior areas, including the large metal arch in the front of the building. 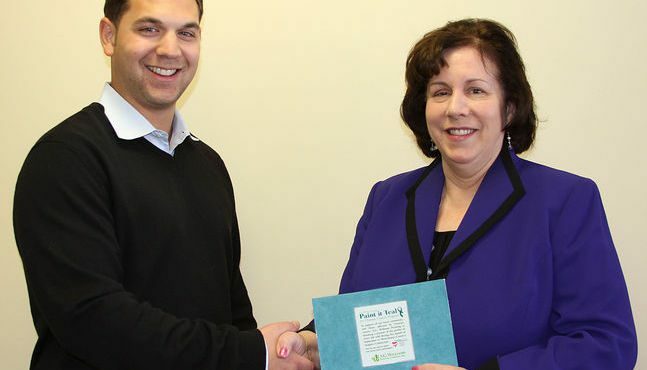 Support Connection, a Westchester County based not-for-profit organization, offers free, confidential support services to people nationwide who are affected by ovarian and breast cancer. 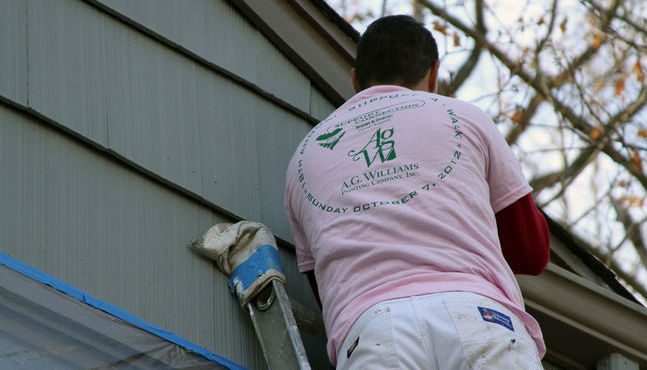 A.G. Williams Painting Company raises and donates funds for Support Connection through its annual Paint It Teal/Paint It Pink campaign and participation in the Annual Support Connection Support-A-Walk at FDR State Park in Yorktown, New York.